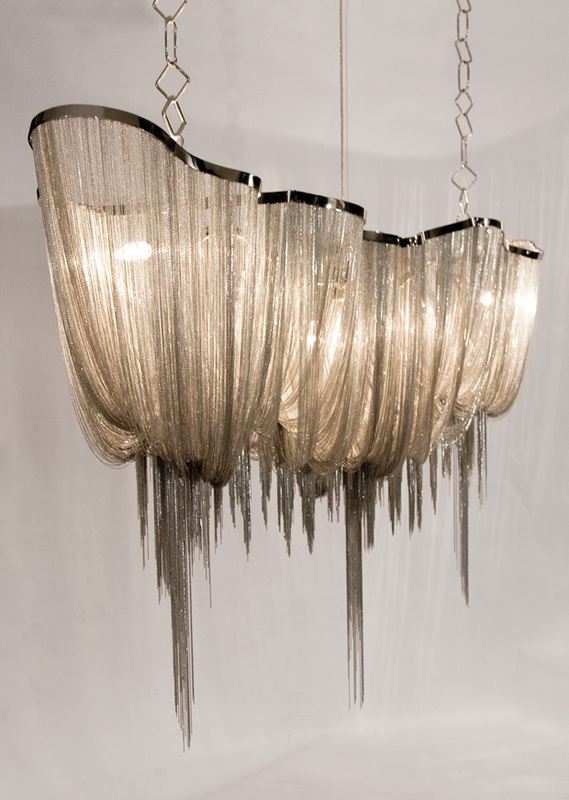 A beautiful chandelier can be a statement piece, enhancing and brightening a room as well as adding glitter and personality to your decor. These days chandeliers are not restricted to just dining rooms - when hung in kitchens, bedrooms, bathrooms or even closets they can dramatically transform a space. You can make a dramatic statement by hanging them in unexpected places or in multiples. 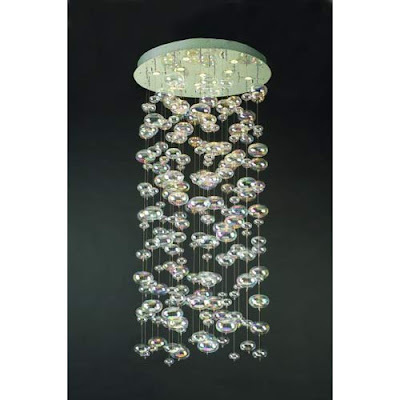 A stunning light fixture will beautify a room - like jewelry for your home a chandelier will add sparkle and personality to any room. 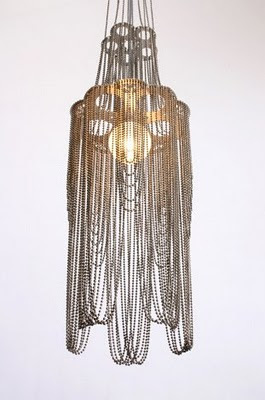 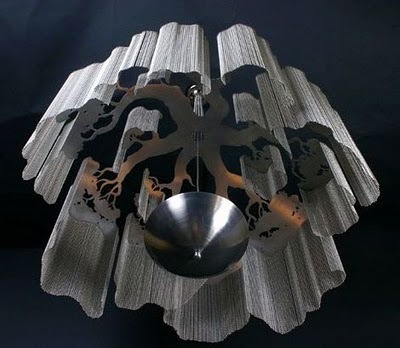 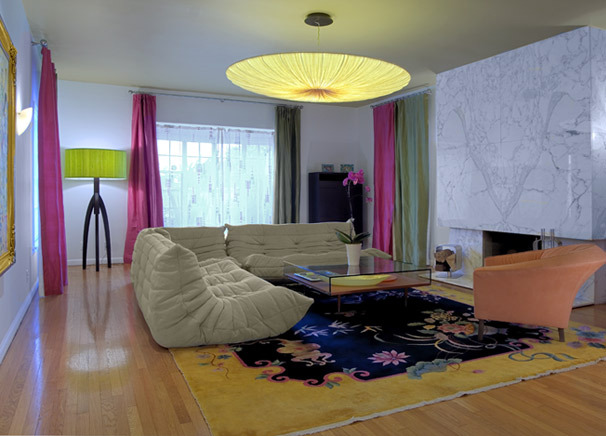 A well-known quote in the world of design is: "if a room is like an outfit, then lighting is the jewelry". 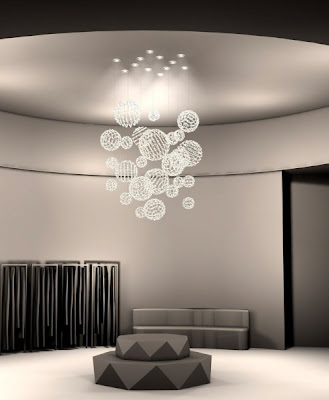 A light fixture can be the 'tour de force' of a room: we chose a striking chandelier for added light and drama for this playful living room. 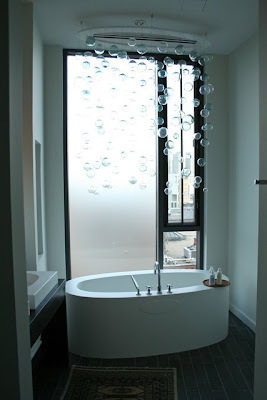 MM Design Associates. 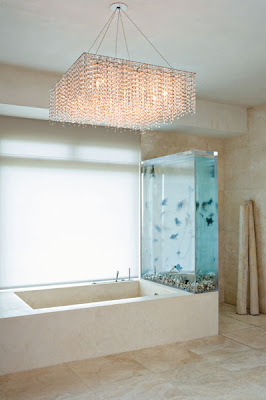 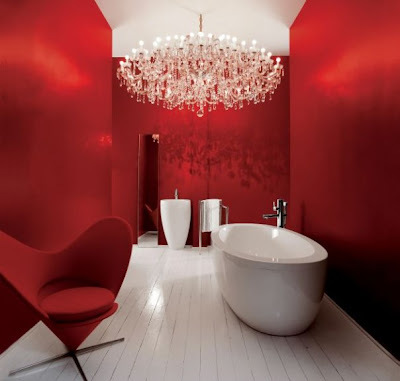 A large crystal chandelier in a bathroom is a highly unexpected element that is sure to surprise. 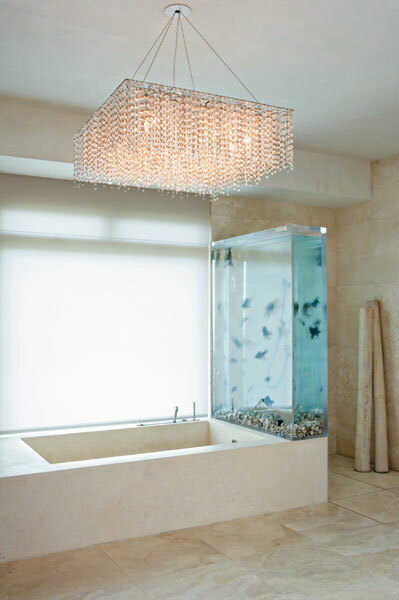 The large crystal light fixture suspended over the bathtub in Kanye West's bathroom gives the space a very glamorous feel. 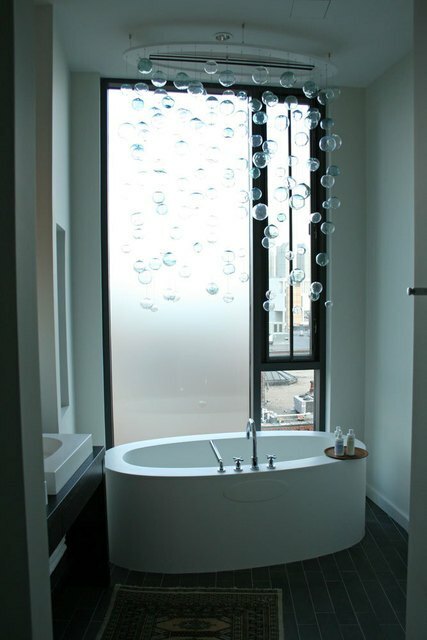 A glass bubble chandelier is a playful feature over a bath tub. 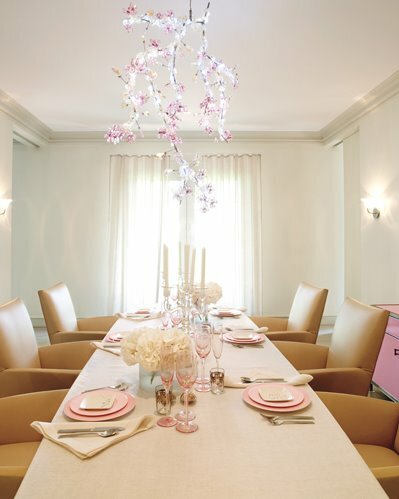 With a dramatic fixture the decor of the room can be left neutral, as seen in this dining room. 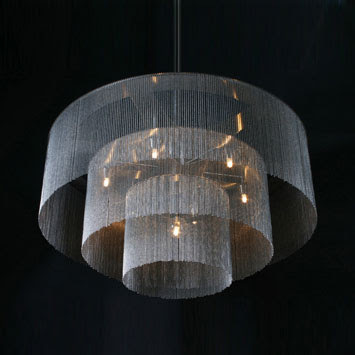 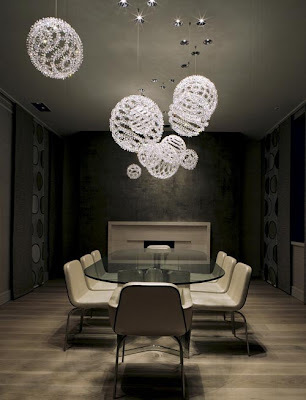 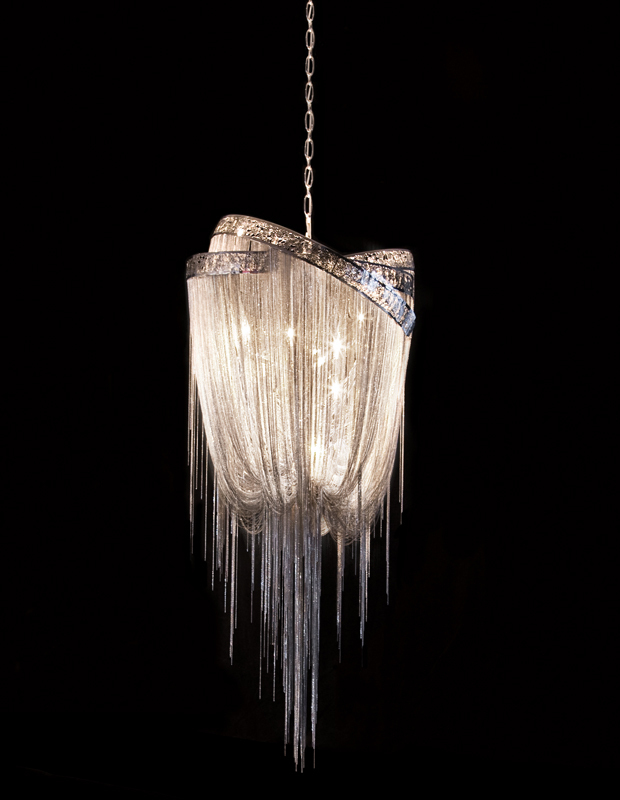 Moura Starr's Hell Bob chandelier is composed of sparkling spheres of crystals freely suspended from the ceiling. 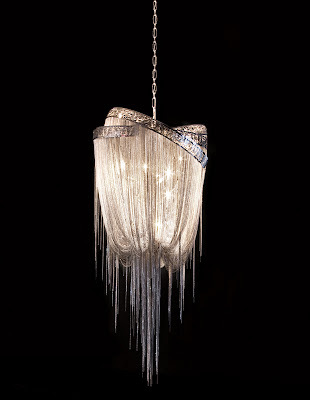 Moura Starr's Hell Bob chandelier seen above in pastel hues. 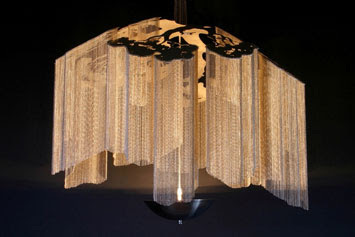 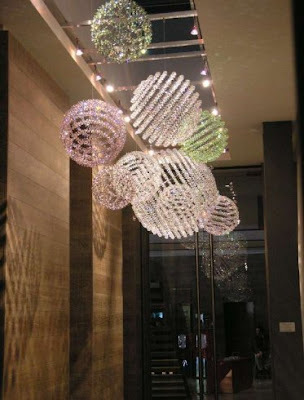 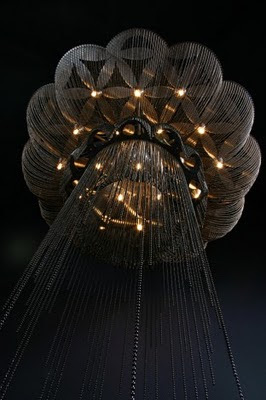 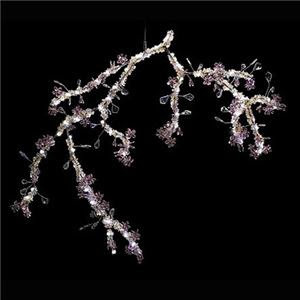 Swarovski's Blossom light fixture designed by Tord Boontje is a breathtaking piece composed of bejeweled branches. 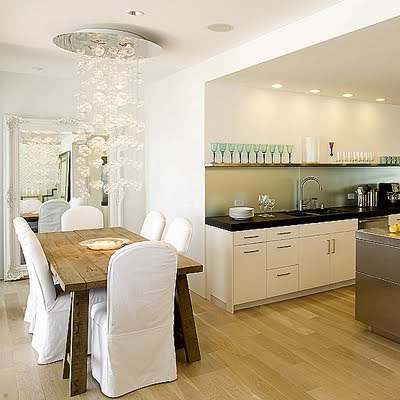 The crystal light fixture above Kanye West's dining area adds a feminine touch to an otherwise contemporary masculine space. 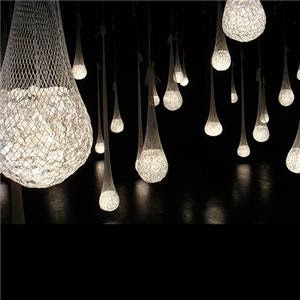 Swarovski's Light Socks are comprised of mesh bags filled with swarovski crystals and a single halogen bulb. 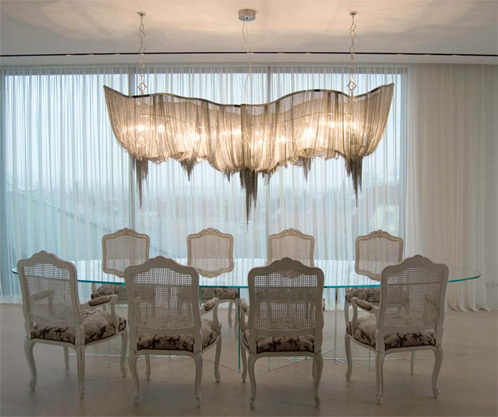 Fabulous when hung at different heights, these fixtures are truly sculptural, an artistic alternative to a conventional chandelier.